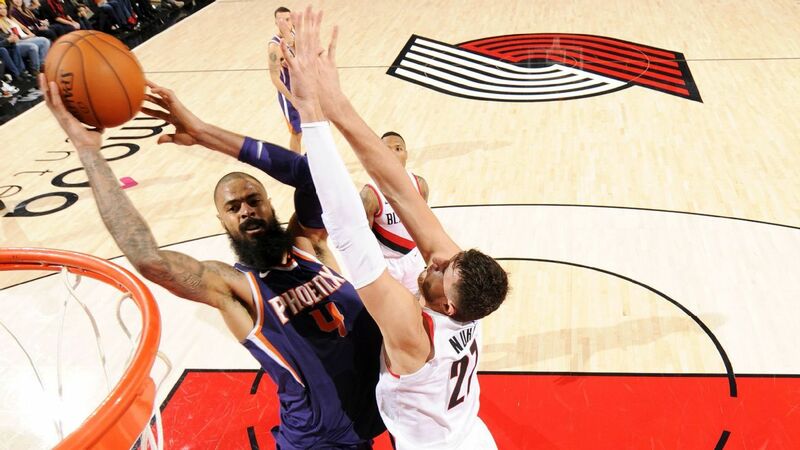 After clearing waivers on a contract buyout with the Phoenix Suns, center Tyson Chandler plans to sign a deal with the Los Angeles Lakers, league sources told ESPN. L.A. has struggled on defense. Will Chandler be the solution for the Lakers? LeBron James said his focus — and his team’s — remains solely on winning after news emerged of coach Luke Walton’s meeting with president of basketball of operations Magic Johnson. Lakers president Magic Johnson admonished coach Luke Walton as the new-look roster featuring LeBron James has gotten off to a sluggish start. Chandler is a native of Los Angeles, and he has been anxious to find a new home amid the Suns’ rebuild. The sides agreed to a buyout on the $13.6 million left in the final year of his original four-year deal, sources said. The prorated minimum for Chandler once he clears waivers will be $2.1 million. The Lakers will have a $1.3 million cap hit on the books. Chandler is considered one of the strong, veteran leaders in the league, and he will be a welcome addition to a largely youthful Lakers locker room. The New York Times first reported the buyout was in process. The Lakers have been using rookie Johnathan Williams as a backup center, but he’s on a two-way contract and limited to only 45 days in the NBA. The early-season buyout is rare. The last player to receive one in November was Nemanja Nedovic by the Golden State Warriors in November 2014. Information from ESPN’s Bobby Marks was used in this report.